Guardians of the Galaxy Vol. 2 hits theaters later this year, and part of the oncoming wave of toys and tie-ins that Disney will be launching is this truly spectacular Star-Lord replica helmet. For $100, you’ll get a light-up version of the glowing helm from the film complete with sound effects. Oh, and it’s also a fully functional Bluetooth headset. So you can not only look like Star-Lord, but rock out in true Peter Quill style. Do they sound good? Probably not. At the end of the day, it’s still a plastic toy helmet. 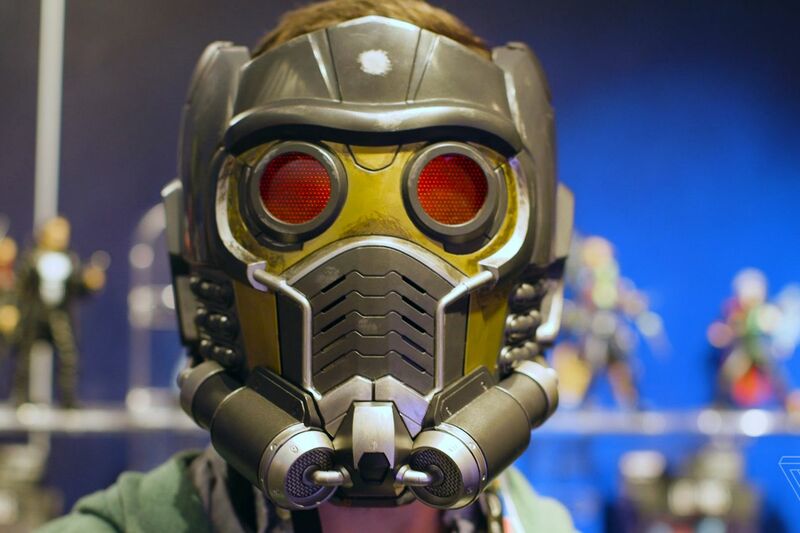 But like the $100,00 diamond headphones, the Star-Lord helmet isn’t about specs. It’s about style. Throw in a fancy leather duster and some boots, and you’re basically Chris Pratt.